I am student of Anna University and I have entered in its first semester exam. Would you please give me its link to know my grades or marks? 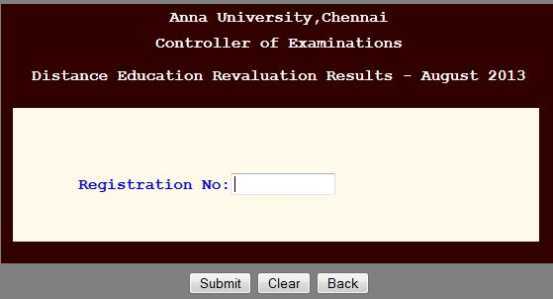 Can you please tell me from where I can get Ist Sem Revaluation Results of Anna University, Chennai?? am student of Anna University and I have entered in its first semester exam. Would you please give me its link to know my grades or marks?